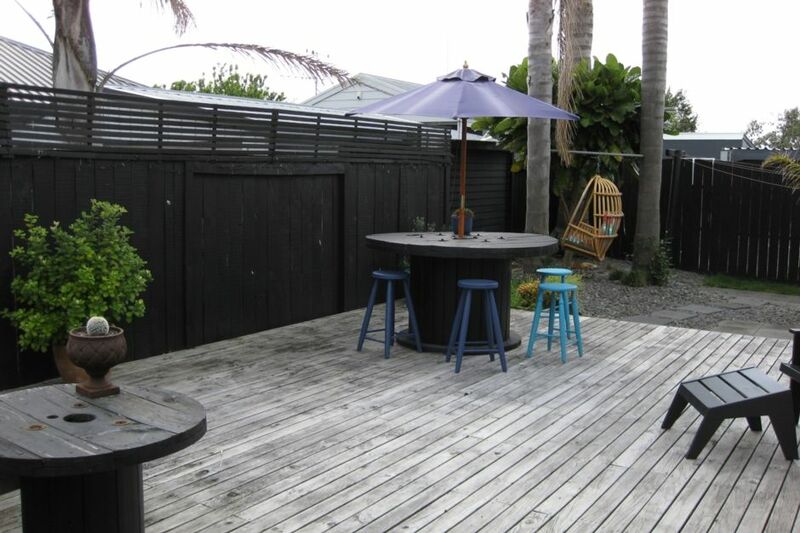 Central location with access to stunning surf beach which is only a 5 minute walk. North facing large deck that captures the sun all day perfect for outdoor dining. Bayfair Mall has all your shopping needs which is only a 5 minute walk. Close by there is pool complex, including water slides, golf course and many other things to do or spend the day at the beach. Well presented properly. Very comfortable. Clean and tidy. Had everything we needed for our family of 4. Lovely back yard. Perfect for late afternoon drinks. Thanks. This little house is just perfect for a weekend getaway, has all the local sites close by: beach, mall, swimming complex, stadium. The house was warm and clean, with everything we needed. We can't wait to stay again!! Fantastic propriety and immaculate. Great size and had everything you could need. Thank you Michelle. Great property, this is the second year we have hired this house and again it suited us perfectly for our long weekend away for One Love festival! Michelle again was so easy to deal with. Thanks again Michelle.